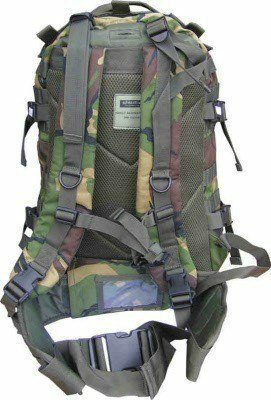 Military rucksacks are designed to be able to cope with very hard and tough conditions, such as war zones and very damp climates. 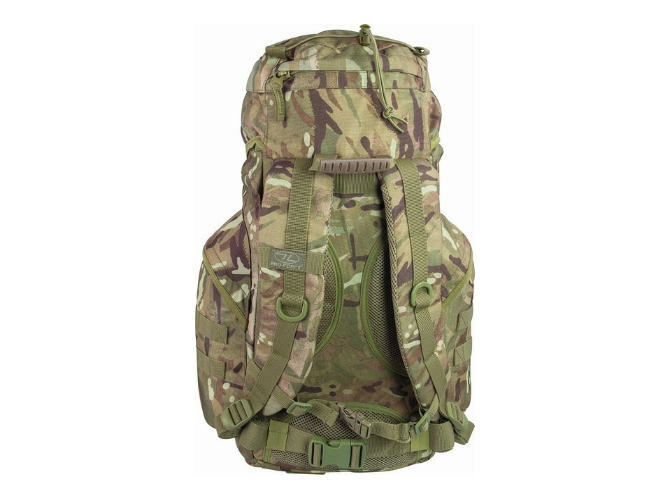 Thanks to their durability and strength military rucksacks have become increasingly popular with civilians who take part in outdoor activities such as hiking, cycling and climbing. British Army Rucksacks are made out of a material called Cordura. Cordura is an incredibly tough and reliable material which helps prevent abrasions, tears and scuffs, making it an ideal material for creating Military Rucksacks. Cadets UK have been supplying the M.O.D. and different armed forces worldwide with specialist military equipment for years now and they have always viewed our outdoor equipment with respect. Modular Lightweight Load-Carrying Equipment, or MOLLE for short, is an attachment system that allows the user to attach their gear onto the MOLLE system. 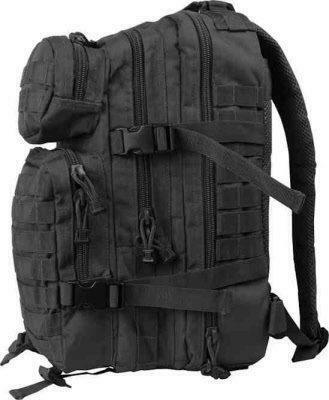 The MOLLE system is considered a favourite amongst many forces around the world, which includes police and fire departments as well as military forces. 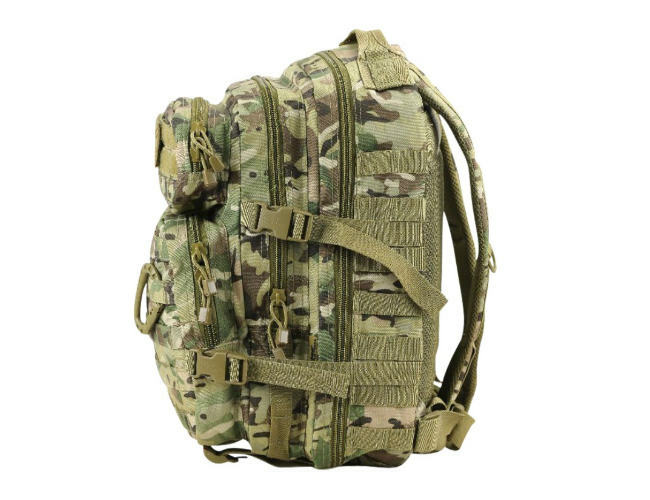 MOLLE allows equipment to be carried outside the army rucksack which comes in very handy during fieldcraft or situations where you would need to access certain equipment quickly. 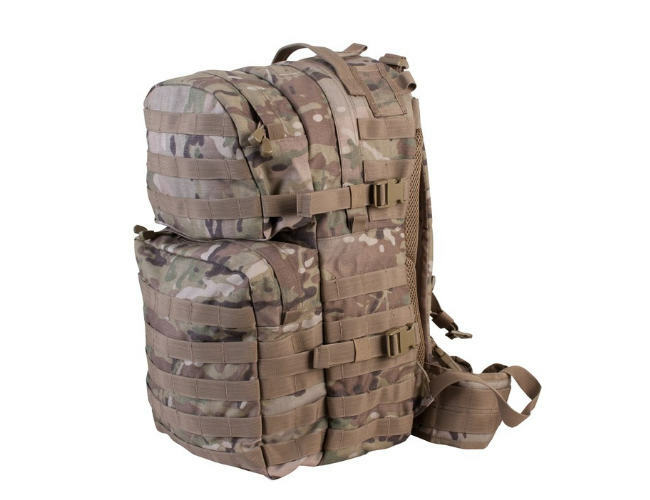 The MOLLE system is hugely popular with British Army Rucksacks. Popular attachments onto MOLLE rucksacks are two way radios, water bottles, lights and D rings. 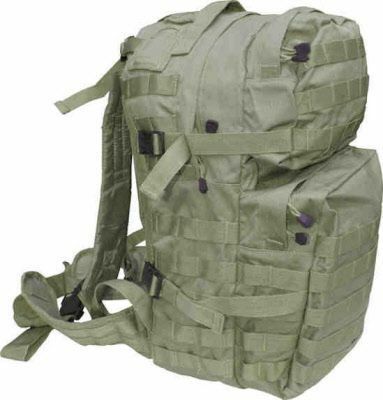 MOLLE allows very fast accessibility to equipment and is a valued extra on army rucksacks. 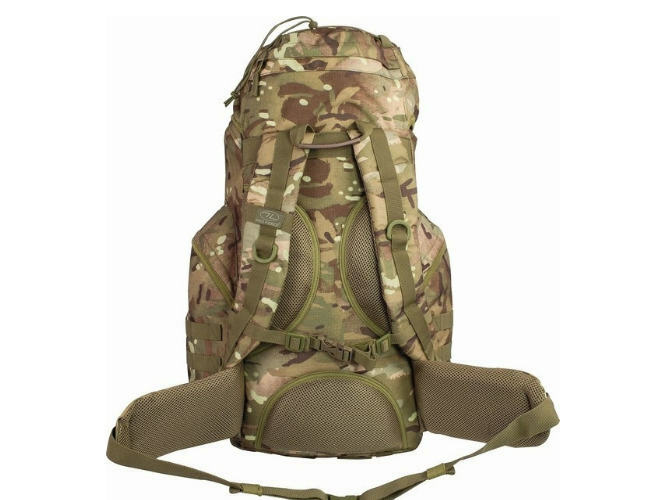 Military Rucksacks can vary in many different ways, depending on your requirements, you may be out on patrol for a number of days or simply on a day trip with your detachment. 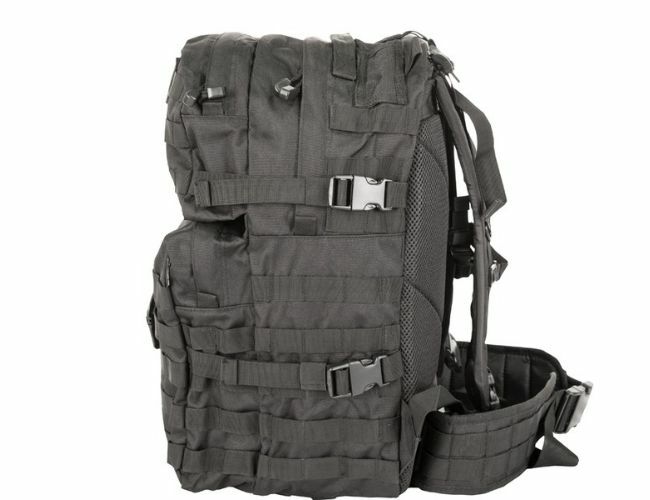 If you plan on going on an evening trip with your detachment and don’t plan on relying on much equipment or rations we recommend our viper side loader day-packs, they not only come with the much sought after MOLLE system but also have three hidden compartments to keep your valuables safe. We recommend an Army Midi Bag if you plan on staying overnight with your detachment. Perhaps you are on a first aid weekend and need your uniform and a few other essential for a night or two, then the Viper midi bag is an ideal selection. 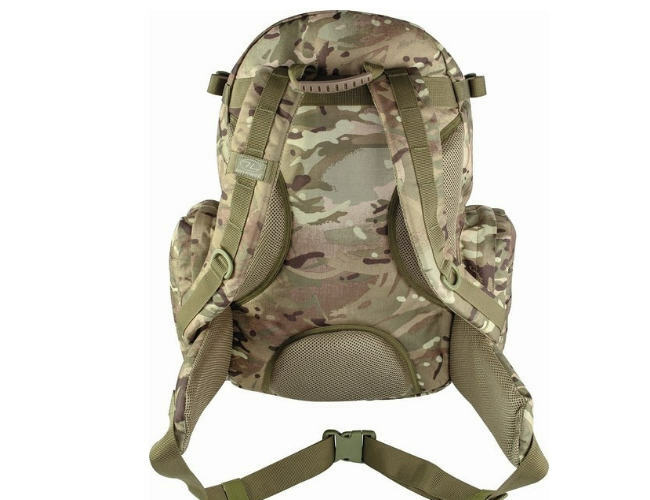 We stock this bag in different camouflages so you can be sure to look the part when with your friendly Cadets. 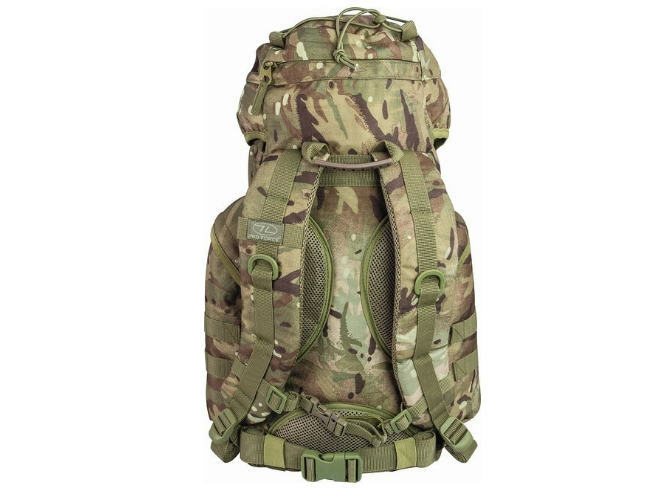 We highly recommend our Army Assault Bags if you plan on taking part in annual camp, our 40 litre Army Rucksack is an ideal choice for storing all your clothing and equipment in. 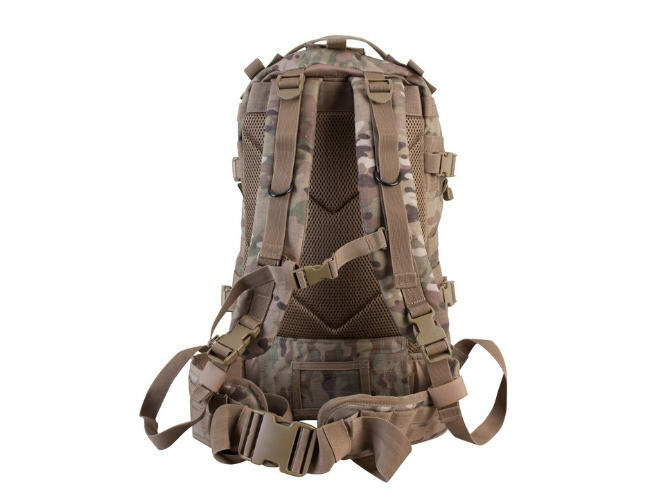 The MOLLE system feature allows for extra equipment to be stored out with the army bag and there is a space to insert an aqua bladder which would hydrate you during long patrols. 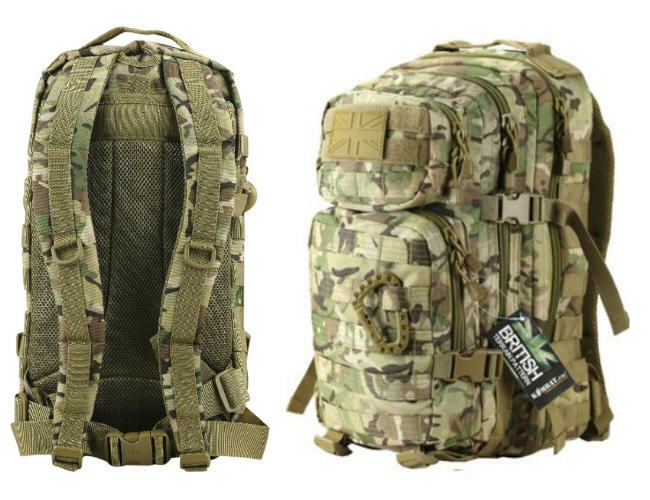 This army rucksack is made of 100% cordura waterproof material, keeping your equipment away from dampness and damage. 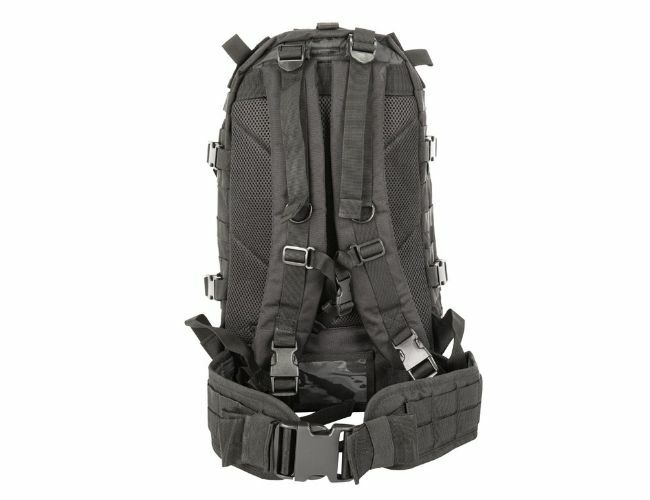 Camelbak Rucksacks are unique in that every bag is designed around their water hydration system, which is housed inside the rucksack and then through a tube is accessed by the user outside the rucksack. The Camelbak Motherlode is a perfect example on how well this hydration system works at easily hydrating the user without having to carry a water bottle or stop to search through their rucksack to find it. This not only saves time but also saves space by eliminating the need to take a water bottle with you. Cadet rucksacks are designed to be able to cope with very hard and tough conditions, such as camps and trekking and damp climates. Thanks to their durability and strength these rucksacks have become increasingly popular with civilians who take part in outdoor activities such as hiking, cycling and climbing. MOD approved Rucksacks are made out of a material called Cordura. Cordura is an incredibly tough and reliable material which helps prevent abrasions, tears and scuffs, making it an ideal material for creating Military Rucksacks. Cadets UK have been supplying the M.O.D. and different armed forces worldwide with specialist military equipment for years now and they have always viewed our outdoor equipment with respect. Suppliers to African Rangers.